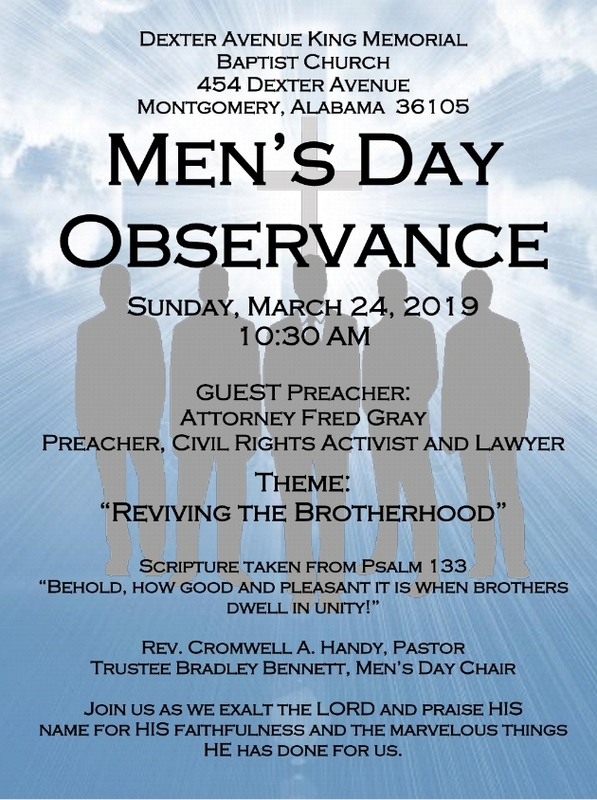 This event is hosted by the Brotherhood, Dexter Avenue King Memorial Baptist Church’s Men’s Ministry. The purpose of the Brotherhood is to promote spiritual cohesiveness and church enhancement efforts as well as the study of God’s Word. They focus on topics specific to men so that their lives are enriched and they will develop a closer relationships with the Lord. The Brotherhood provides regular study and fellowship sessions for men to be nurtured and meet their needs. They also actively supports Dexter’s Youth Ministry.